Love the method he uses to get his stock wet before he puts it in the compost bin. Dr. David C. Johnson just had a webinar last Wed. presented in conjunction with the USDA, titled Regenerating The Diversity Of Life in Soils - Hope For Farming And Climate. I was posting a link but I don't know if you have to be registered to view their on-demand webinars. I like to watch live and get to ask a question or two if I have any although I will e-mail the presenter if later a question arises and usually I get a quick reply with an answer. This webinar and the You Tube videos answered many questions I had over the last few years in my understanding of the soil microbiology. Plus it gave hope we can be healthy and sustainable in growing our food on a healthier planet. I will insert the link to the webinar and if anyone would be so kind as to the ease of viewing, it would greatly be appreciated. This webinar is in the top three that I have watched. You have to register to get to the video. I didn't do it today getting ready for family reunion and Christmas but look forward to looking at the info. I'm trying to talk my neighbor to let me have two of his scrap fence panels for the base. I had talked to the adult children, he wasn't home, I will know soon. I would like to try it once. has55, there are many webinars on demand that are worth taking a look at. Especially in the Soil Health series. The USDA is a wealth of information and webinars are increasing in number and some topics seem to becoming very specific but I seem to glean a little something from everyone of them. Plus it is your tax dollars at work. Here is the Soil Biology Primer, not a video but can be read at your leisure. 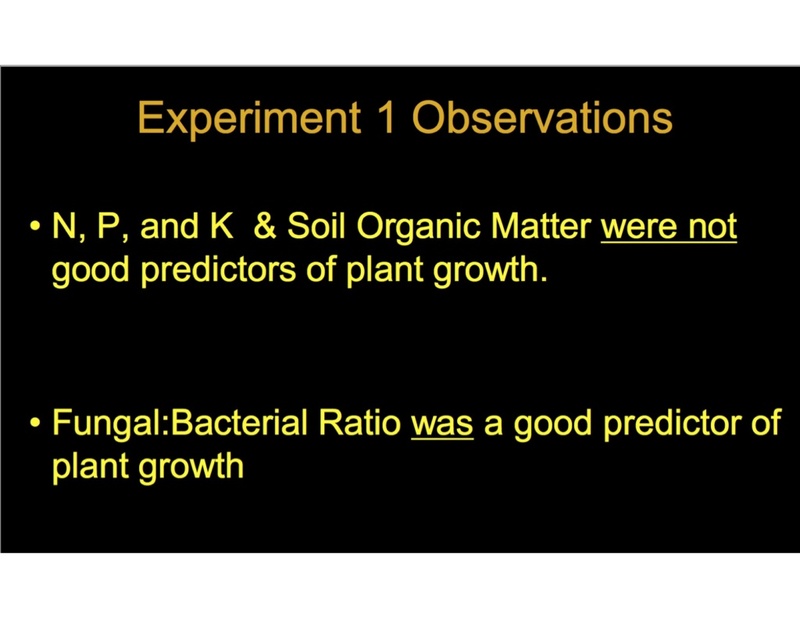 here a great revelation of what we're learning about soil life and our plants, especially with mature compost. 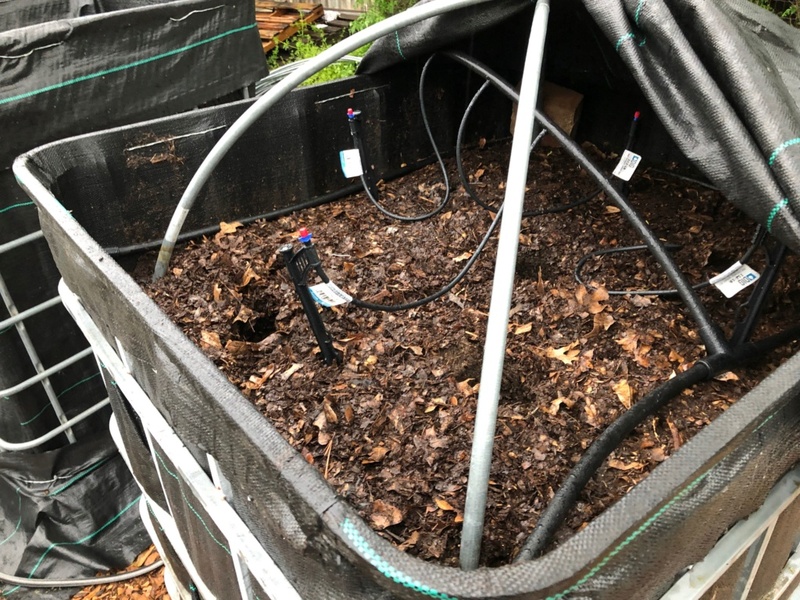 "Trials indicate biochar works well to replace peat, vermiculite and perlite. Properly charged, inoculated and aged, biochar does as well, if not better. Biochar, however, is the one based on a renewable, sustainable resource. 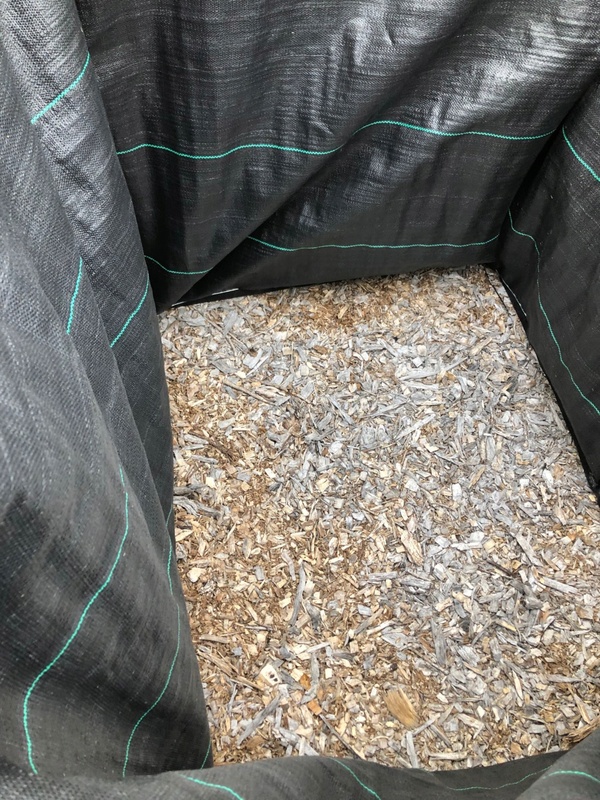 Biochar provides many similar services, including lightweight structural matter, aeration, water absorption, moisture conservation, ion adsorption, nutrient supply. The great advantage over peat is biochar is only apply once, then stays for decades, while peat decomposes in one to three years." OhioGardener, I don't think there is any one key to gardening but many different methods and practices. Some working better than others in certain situations. Knowing the why and the difference is important. I understand Mel's Mix and the need to start off with as few problems as possible for the beginning gardener. Can substitutions be made? I believe so as we begin to garden more with a focus on the microbiology of the soil. I just finished Jeff Lowenfel's "Teaming With Fungi". 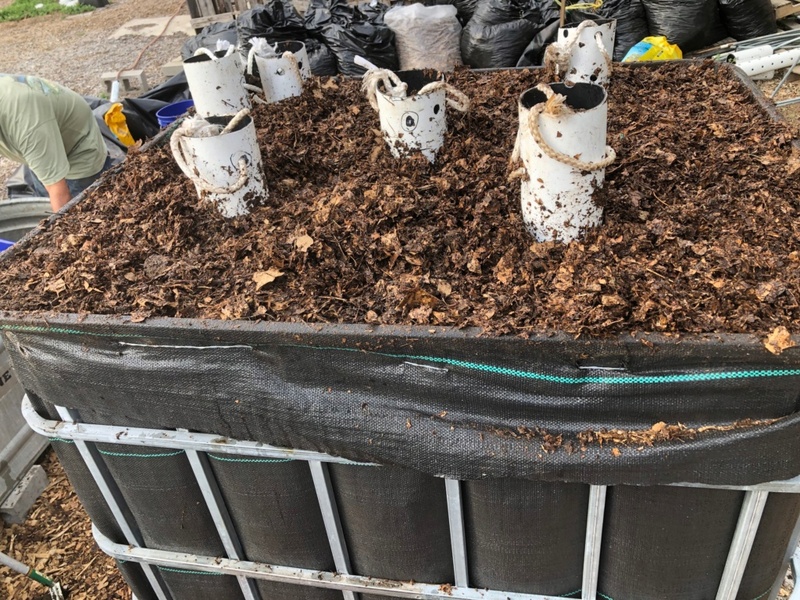 Glomalin is a very important in creating soil aggregates made by the mycorrhizae whose functions encompasses everything peat, perlite, vermiculite and biochar perform. The amazing thing about Dr David C. Johnson is that he is preaching all you need to do is to inoculate the seeds with the microbiology you amass in well made compost, learn to multi-species cover crop so never any bare ground and with each passing year, your soil should become more fertile and more productive. We just need to realize soil is a living entity and learn to care for it as if it were a well loved family pet. 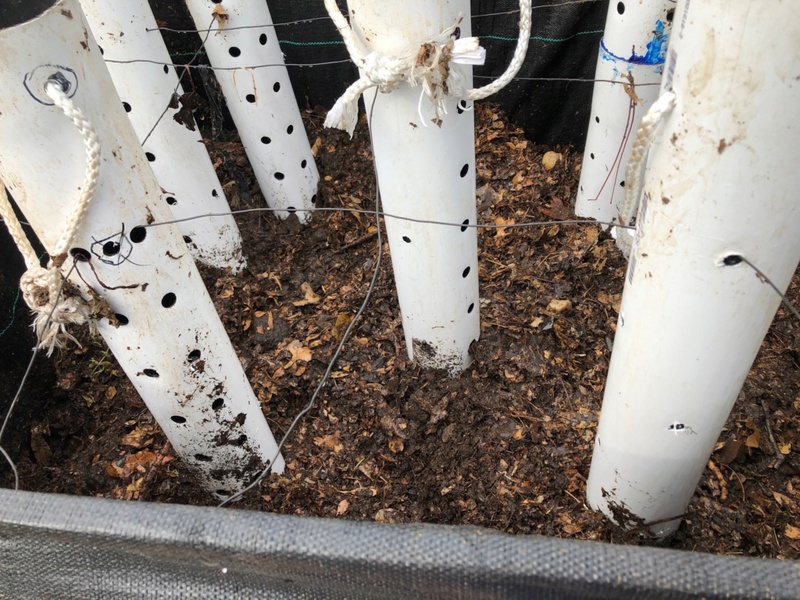 Am I still going to do my biochar experiments? 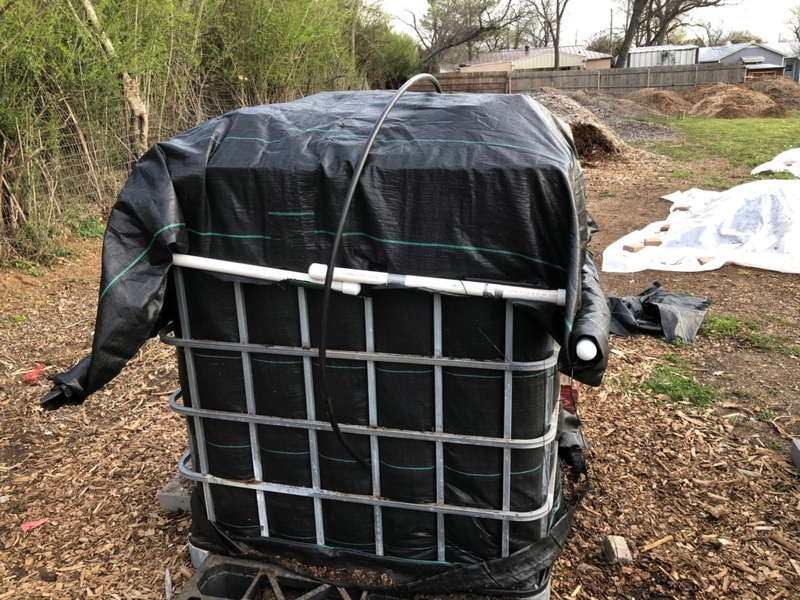 Yes, above all else I am a gardener and if the plants with the biochar do better than the control, I will gladly point out the differences and take full credit for having made the biochar. Oh, in Jeff Lowenfel's book there is a chapter on making your own mycorrhizae and will be attempting to do just that. I also make my own EMOs (Effective Micro-Organisms) basically Lactobacillius and use it as a foliar spray for transplants and on squash and cucumbers during the season to ward off powdery mildew. Helps if I spray the lilac bush early in the season as it is a vector for powdery mildew. I will be checking in later in the year asking you about what you use for cover cropping, as a Bucketeer I have very little knowledge or experience with cover crops. I will be begin to switch over to more raised beds and less buckets as the year progresses. I have sat in on a few small farmer workshops/presentations put on here by the USDA and cover cropping was covered but their cover crops seemed extremely specific as to what crop was following the cover crop. They were free and taught by farmers. As a matter of fact I am going to The Vegetable and Small Fruit Growers Conference next Monday, not free but minimal and I think I get to sit in on 7 half hour presentations. beginning the process. 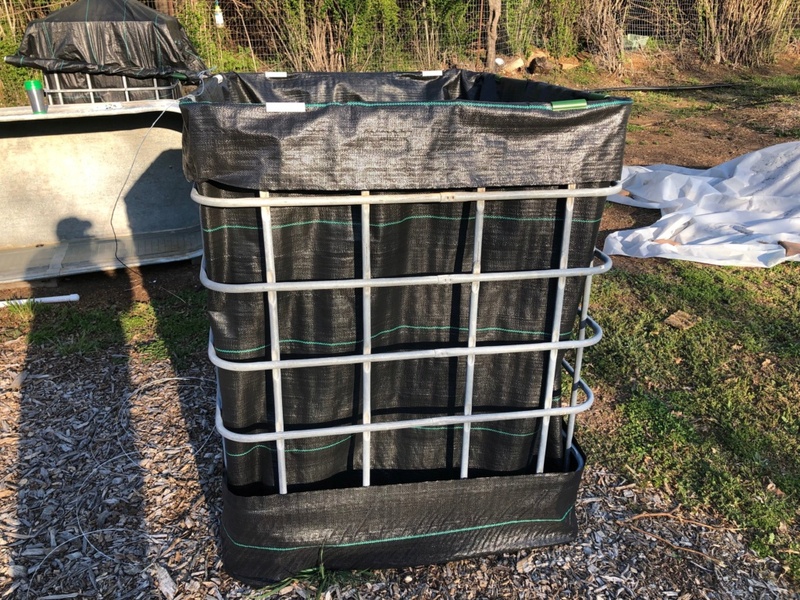 I still need the cage, make holes and put in the product which is ground leaves, coffee grounds, and Alpaca and Llama manure. Has55, looks good. 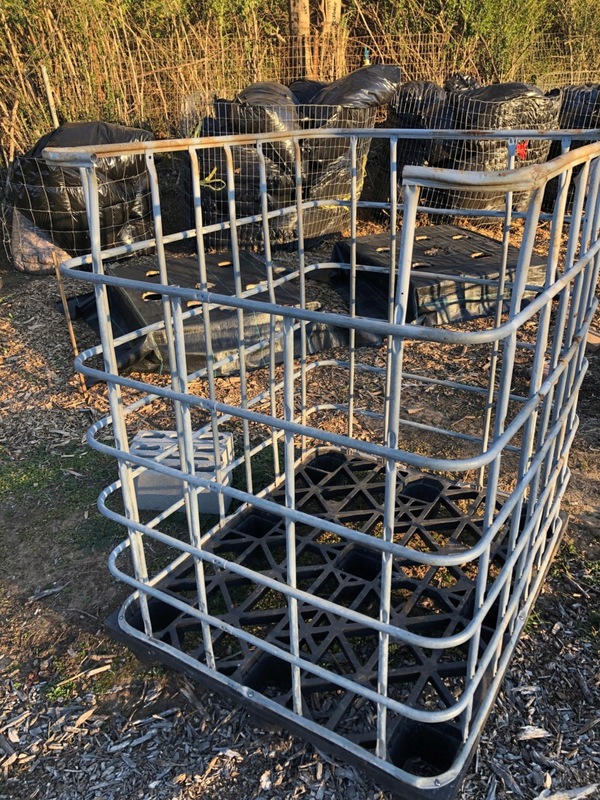 Here is another thing that happens regionally, things/parts are not readily available, maybe it is seasonal but I went looking for the concrete mesh needed to make the cages and I can only find 5'x100' rolls at about $150 and would be enough for 12 cages. I was hoping to find a 5'x12' piece that is on the parts list. I may have to find 11 other people or make a whole lot of 5' tall tomato cages. 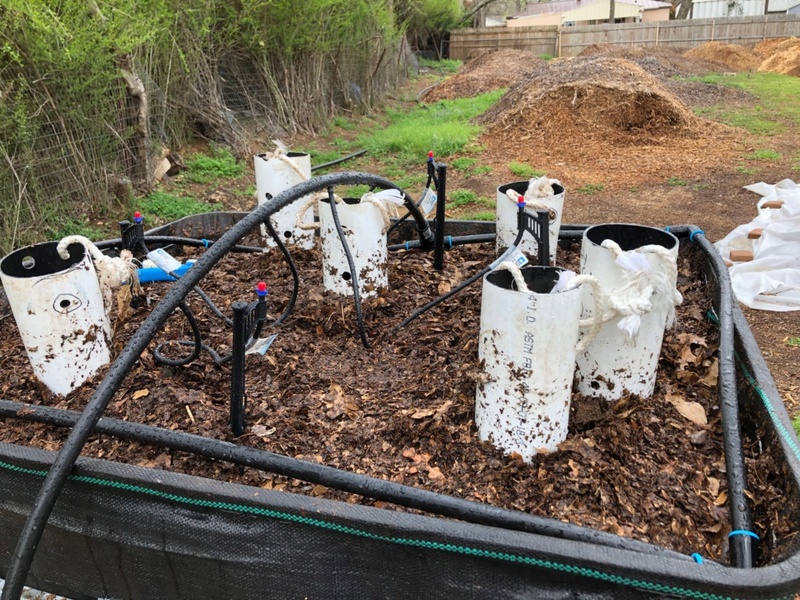 I just need one composting bioreactor to make the seed inoculating slurry but won't know the results until some time next year, 2020. The theme song for 2020 should be "I Can See Clearly Now" and I will be using the excuse, "I didn't see that coming". The other question I had, which is cuter, Alpaca or Llama poo? @Dan in Ct wrote: Has55, looks good. 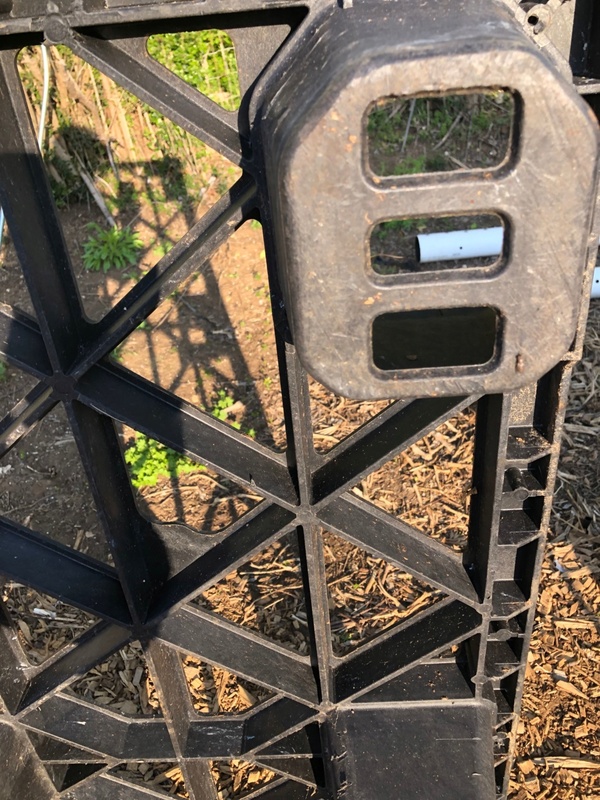 Here is another thing that happens regionally, things/parts are not readily available, maybe it is seasonal but I went looking for the concrete mesh needed to make the cages and I can only find 5'x100' rolls at about $150 and would be enough for 12 cages. I was hoping to find a 5'x12' piece that is on the parts list. I may have to find 11 other people or make a whole lot of 5' tall tomato cages. 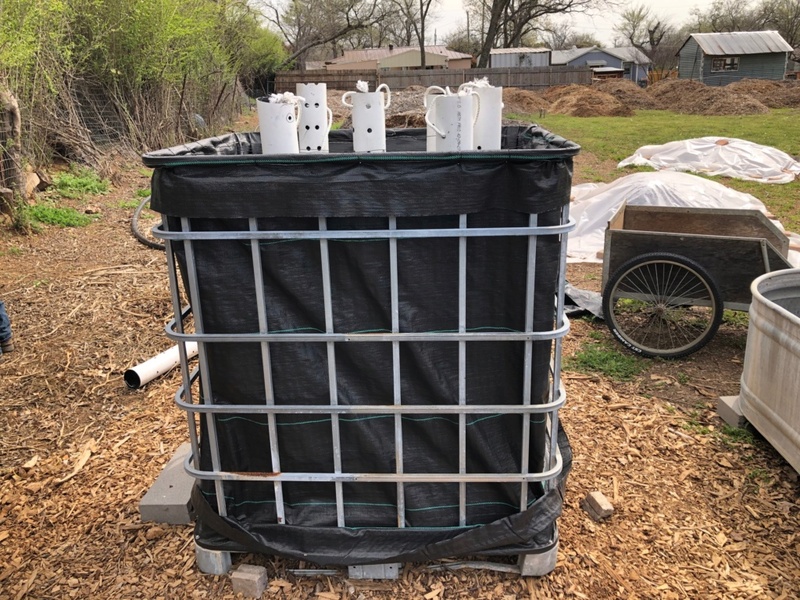 I just need one composting bioreactor to make the seed inoculating slurry but won't know the results until some time next year, 2020. The theme song for 2020 should be "I Can See Clearly Now" and I will be using the excuse, "I didn't see that coming". Dan, I see you're part of the facebook group, heh, heh. I just posted a similar statement on the Johnson Su Compost Bioreactor facebook group. I found out the rules for doing sidewalks, driveways, streets, etc... has changed, they are using rebar only in my area. That's why I couldn't find the smaller rolls at Lowes or Home Depot. So I'm going to use my scrap cattle panel and make square sides instead of round. Will give an update sometime next week hopefully. I'm working on the holes, but it started raining. Electricity, water and I don't mix well. on the poo side, I haven't opened the bags yet. 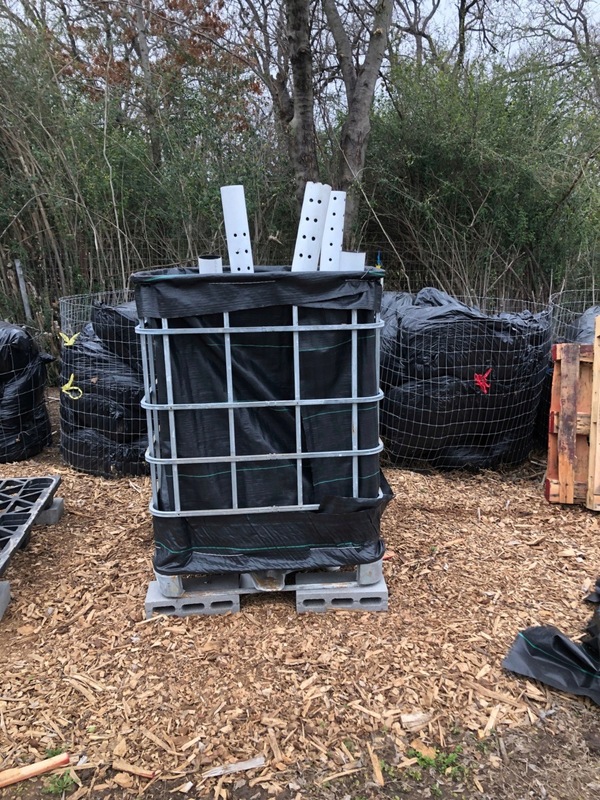 I came across some IBC totes without bladders to use for the composting experiment. I haven't filled it yet. hope to do one of next week. I have one almost completed ready for filling. I need to add the bottom cloth. 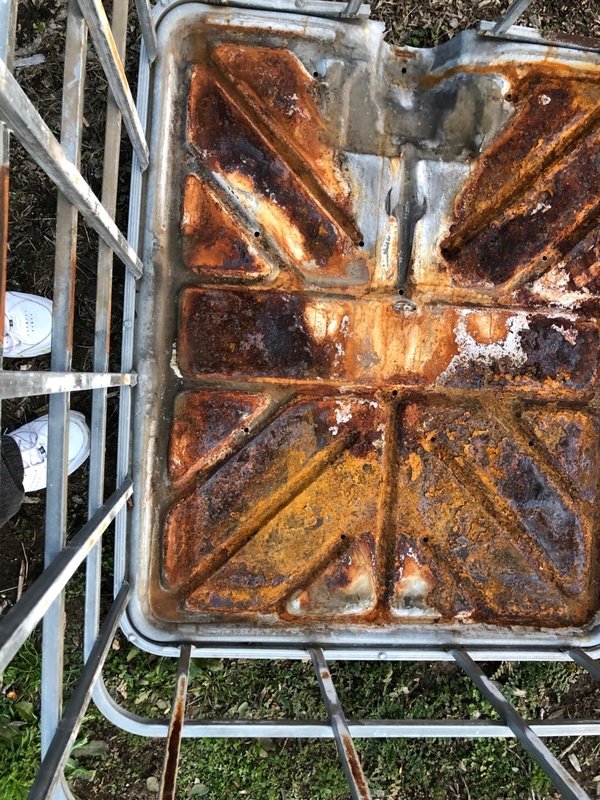 This one had a thin layer of rust but it will work. I'm using the metal frame bottom as the base. ARe you going to pull the PVC out? I ask because there are holes in the plastic as though they are going to stay. ?? @sanderson wrote: ARe you going to pull the PVC out? I ask because there are holes in the plastic as though they are going to stay. ?? Yes. 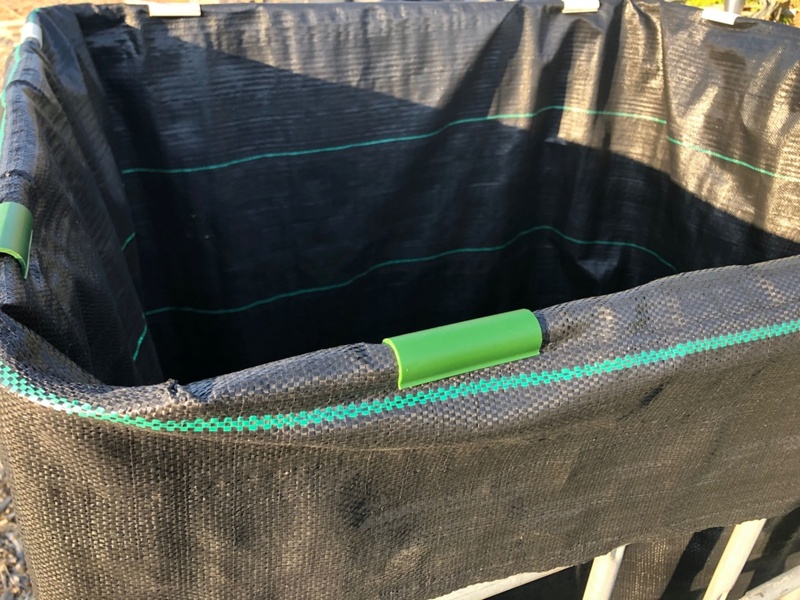 I still need to add the rope hoops to the top of the pipes so I can pull them out when the temp drops down into the 80's, then I can add the composting worms. I put the pipes in for the picture shot. It still being work on. 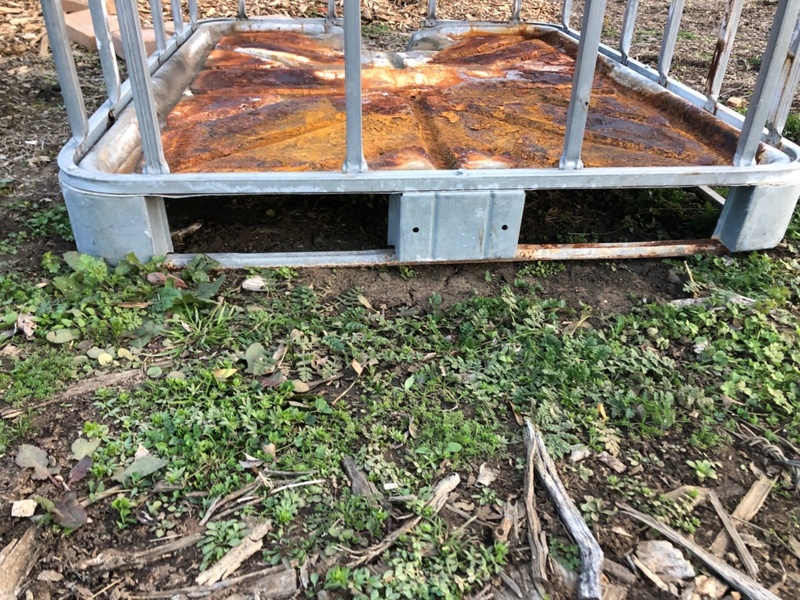 I put the weed protector down over the bottom last evening since I had cut out the holes earlier when I cut the holes in the pallets. 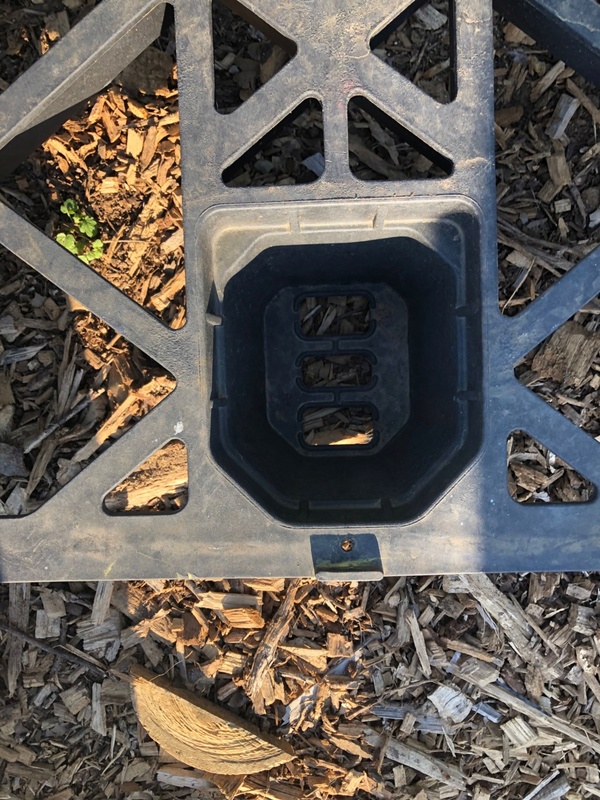 the darkness around the side of the bottom base will help keep weeds from getting sunlight and trying to grow. While browsing through some old newsletters today, I saw a reference to this article on the Johnson-Su bioreactor and found it quite interesting. Sort of a condensed version of the info presented in the videos at the beginning of this thread. Your experiment might get me started on working on a project such as this. 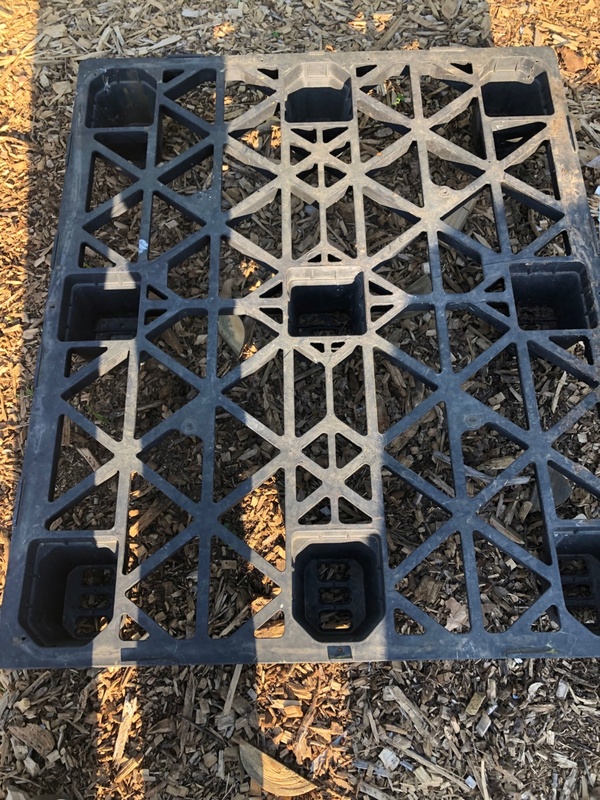 I have been working on having my raised beds with more fungal-based soil, and this would be a huge step in that direction. 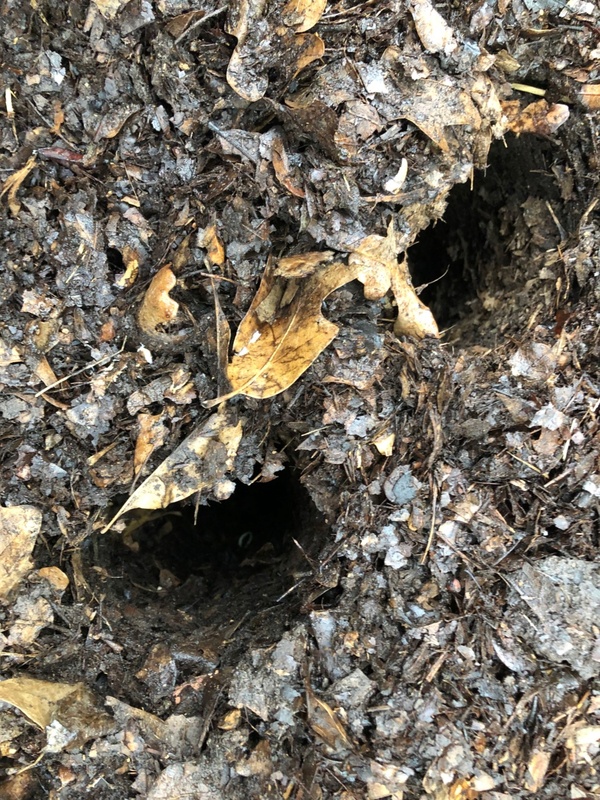 The article can be found at Making Fungal Compost. THAT'S what I need! Great idea, Has55!!!! Great article OG. 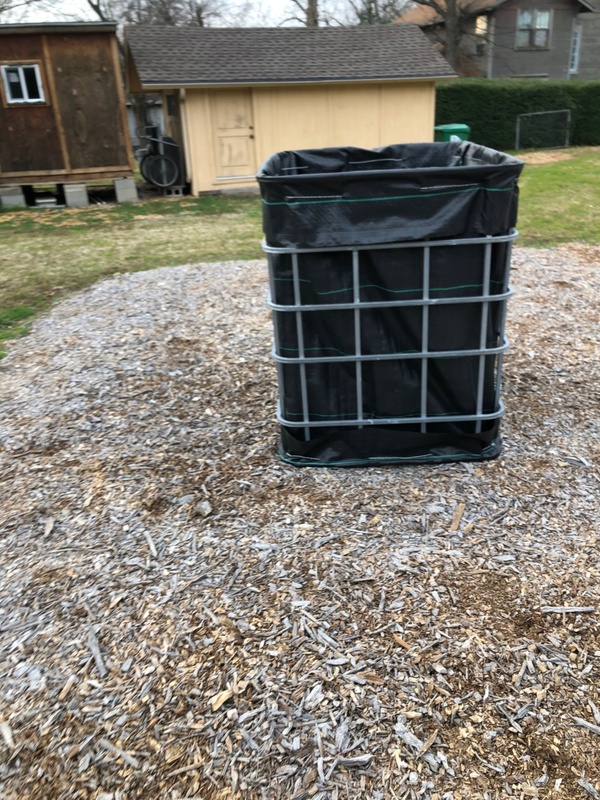 I have been saving my vegetable scraps for the composter, but I see it need to air dry it first to prevent anaerobic conditions. 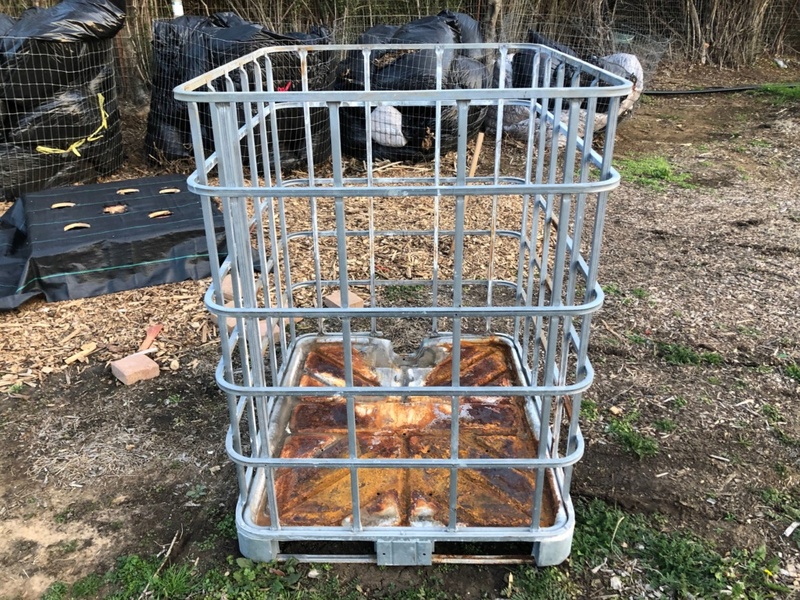 I completed one bioreactor using an IBC tote for the frame, chicken and Llama manures and shredded leaves for the filling. temp lowering to '90s. I will add worms at 75 degrees. I'm working on number 2. It dropped down about a 1/2 foot. Smells good. I'm watering for 1 min a day, except today. We are having rain and thunderstorms that should last most of the day. I added some hoops. Today it looks like it dropped a foot. today what holes look like. It raining now. 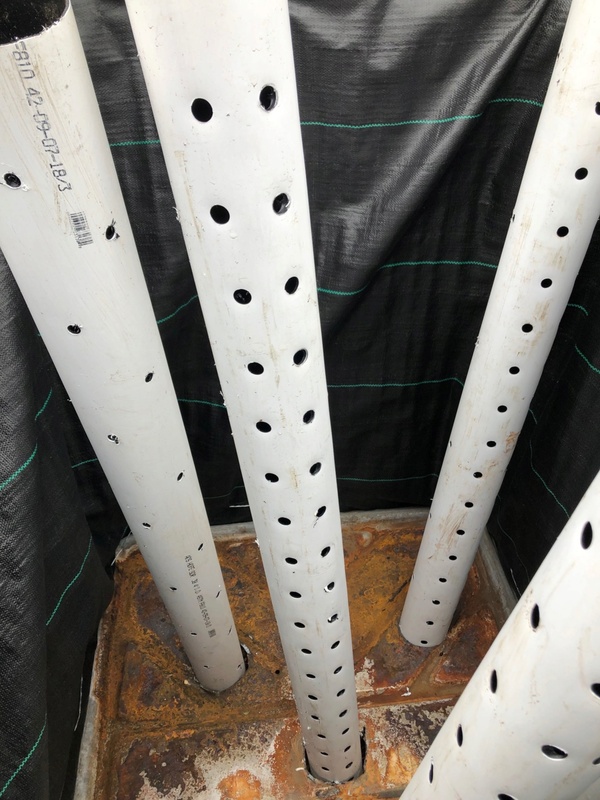 2nd compost bioreactor base, A work in progress. 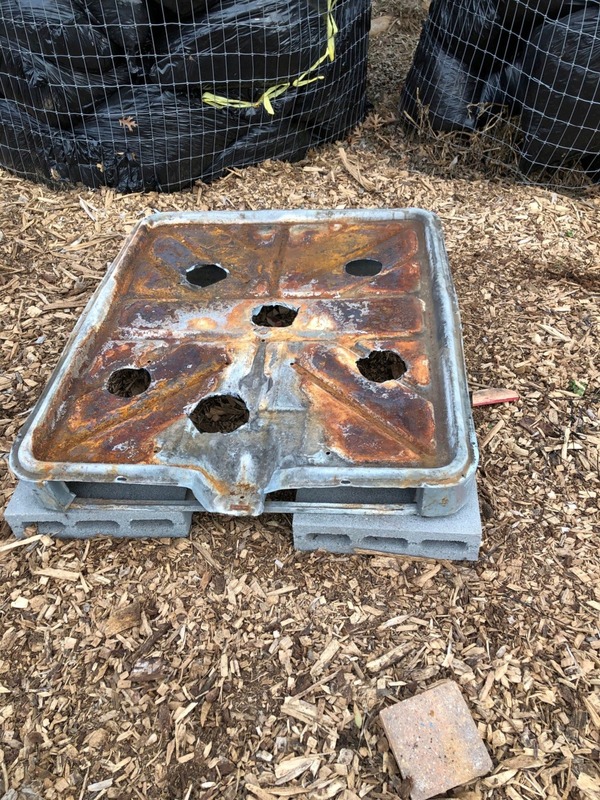 2nd compost bioreactor base with insert holes for pipes. ready made. I like this design over the metal. no cutting required. 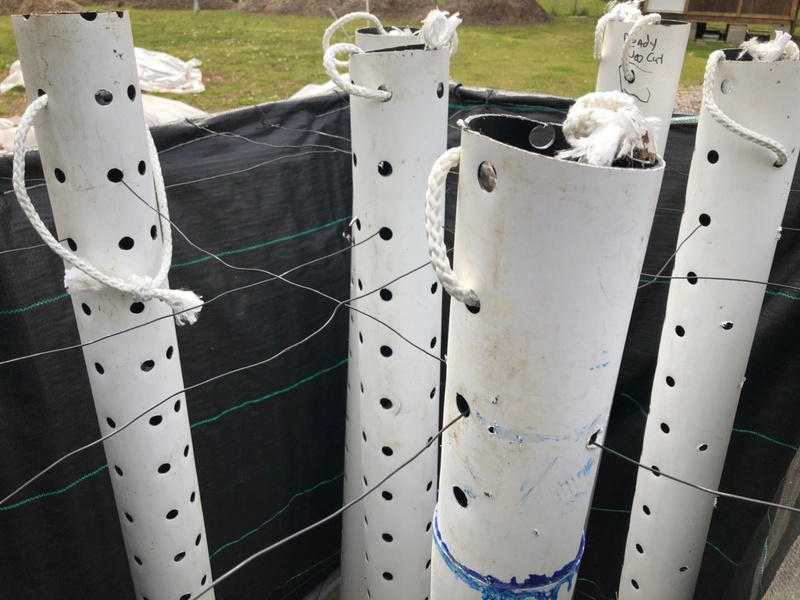 2nd compost bioreactor LARGER VIEW with snap clamps. I like using the snap clamps, Like you said, "KISS." How old is the first one where you removed the PVC? @sanderson wrote: How old is the first one where you removed the PVC? About 10 days. I haven't added the worms. Trying to find out how many pounds to add. Just posted the question to the Johnson Su Composting Bioreactor forum on Facebook, awaiting an answer. I haven't added the timer yet. Bought it two weeks ago, but have to make some adjustment for the 2nd Bioreactor. I have been watering for 1 min manually, meaning turning the water on the spigot for one minute daily. I beginning to see the no hassle turning as a great benefit, just need to get the timer installed. 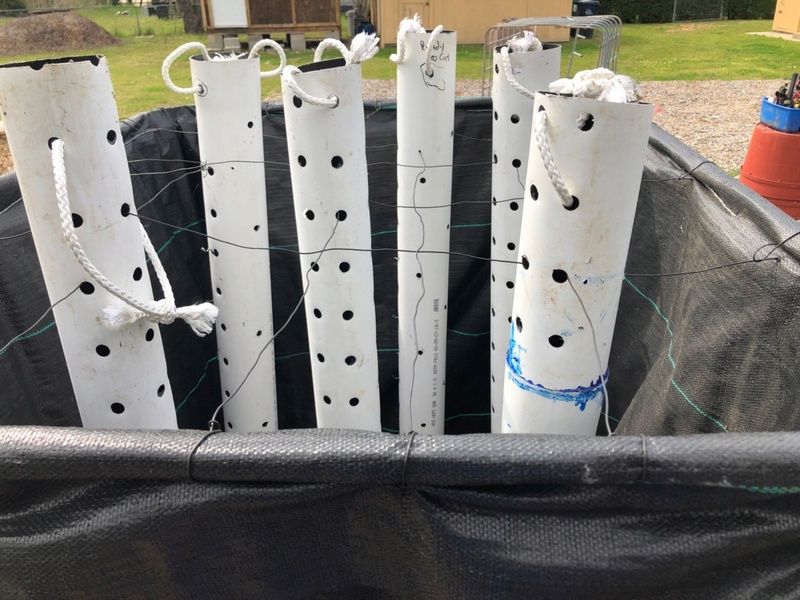 The next bioreactor will be all leaves, that will be easy to do. It took me about an hour to cover the 2nd one by hand by myself. I will probably do two more this fall when leaves become available, but I will stagger the timing, some in the spring. I really like the IBC totes. Simple, clean, easy to work with. Great invention esp for secondary use. I keep wondering why a 3'x3'x3' regular composting bin couldn't be used for this method. 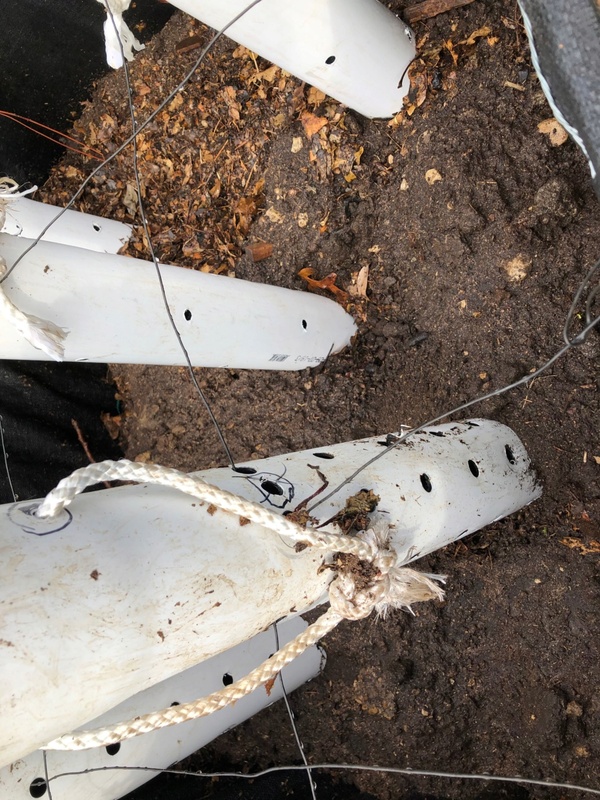 Set the PVC in place and devise a method to hold them in position while filling the bin to the top. Later, remove the PVC and water as needed, keep covered, etc. The worms will come when it cools. ?? @sanderson wrote: I keep wondering why a 3'x3'x3' regular composting bin couldn't be used for this method. Set the PVC in place and devise a method to hold them in position while filling the bin to the top. Later, remove the PVC and water as needed, keep covered, etc. The worms will come when it cools. ?? 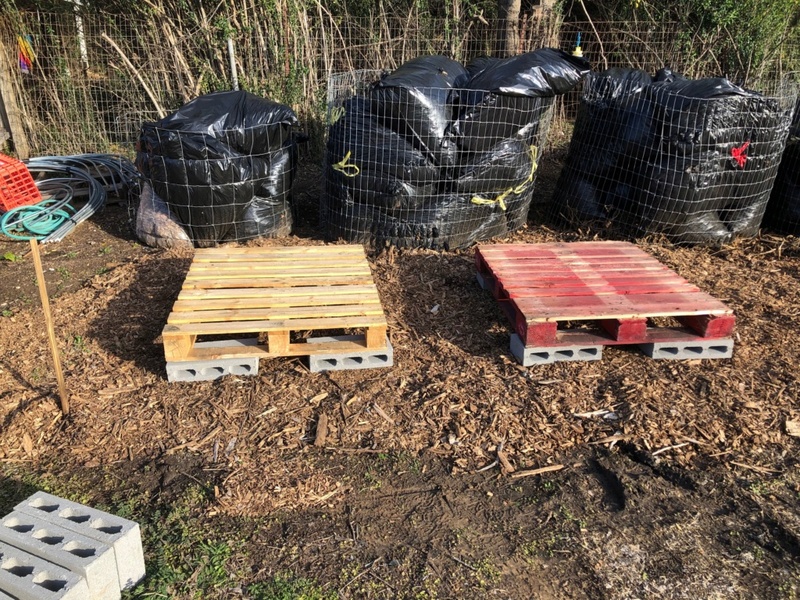 Seems the main difference would be that the regular compost bin would not be off the ground on a pallet so that air could be drawn in from the bottom and up through the holes. And, if it were up on a pallet, the worms would not get into it to assist with the decomposing. Other than that, it seems that it would be the same thing. In Mr. Johnson video he said it can be a smaller unit, but what makes this work is airflow. All the pipes are 1ft apart to prevent anaerobic environment. 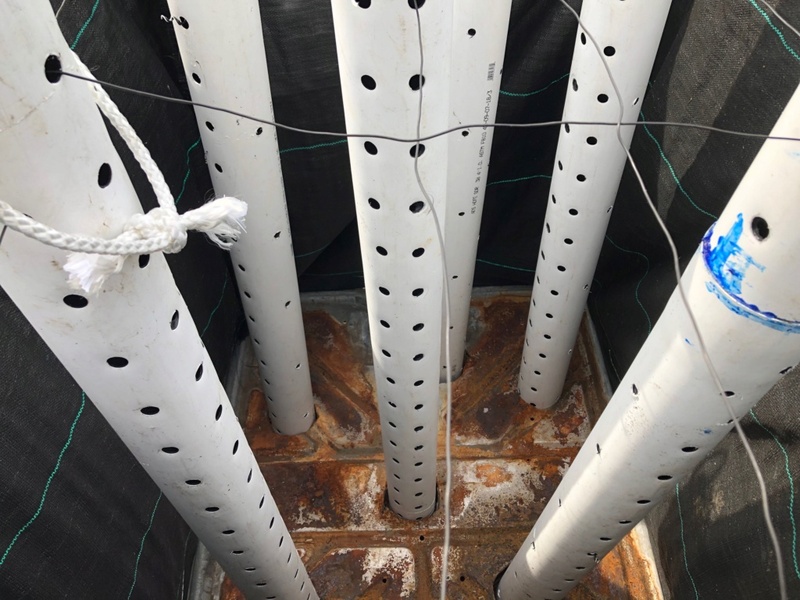 In the video, he said to make sure there is nothing blocking the entryway of air into the pipes at the base after filling the bioreactor. It also must be in a significant amount of darkness and it must be water 1 min every day. He said if it dries out for any reason it must be torn down and rebuilt because the water will never spread throughout the system and everything will die. 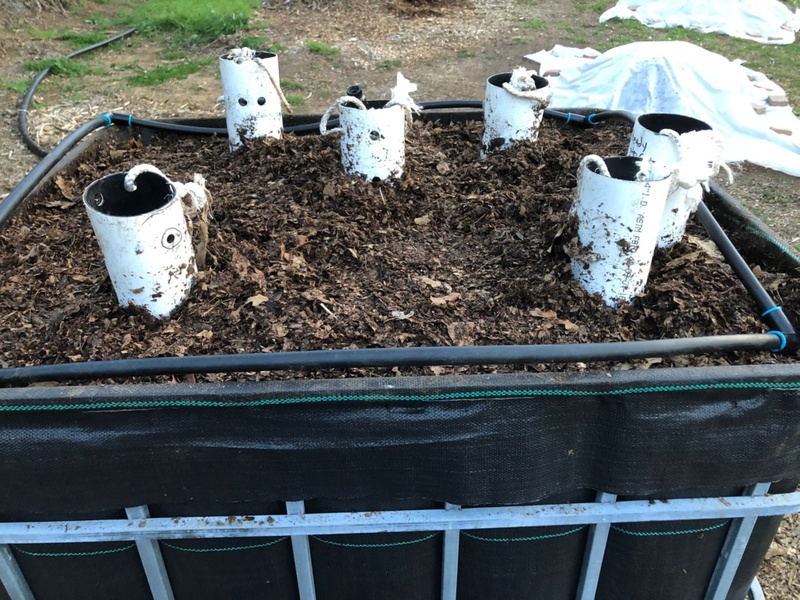 There is a guy on the Johnson SU Composting Bioreactor forum who has built his on the ground and it seems to be doing very well. he has added pipes at the bottom, then placed vertical pipes into those pipes. The vertical pipes extend to the top of the pile. the air travels into the horizontal pipes then into the vertical pipes. people are devising different ways to build it. You can see their progress on the forum.